I've always been stumped with the styling of dresser tops. And I'm not sure why. I want my dresser top to be functional, as in hold items I need and use, but I also want it to look good. 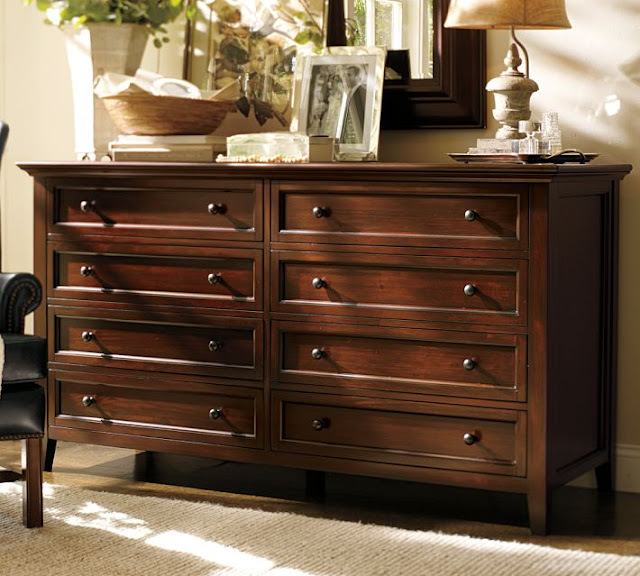 I love this dresser because of all of the texture. I think the more texture we can infuse in our homes, the homier they will be. This dresser makes a big statement in and of itself and the items on top are more neutral, letting the dresser speak for itself. I love the shiny items which add a touch or formality. This is another great example of texture. 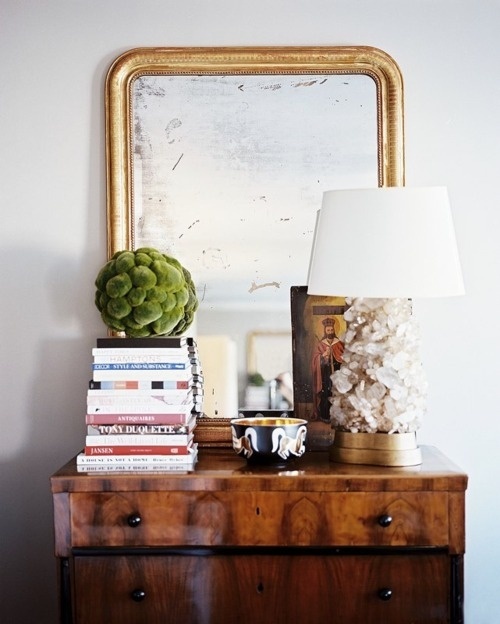 I love the use of the silver tray to corral useful items, and the mix of finishes is delicious. 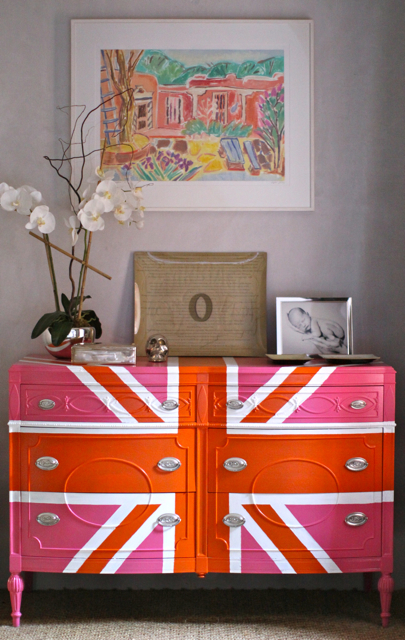 OK, so with inspiration in hand I set about to update the dressers in our master bedroom. The only thing I knew that wasn't going to change was the pictures of my babies. Seriously, when I'm old and in the nursing home these pictures better be on my dresser then too! For my husbands dresser, I used this old picnic basket for him to store his watches, bullets, and whatever else he would be tempted just to dump on the dresser top. I stole the picture from the hallway to help create balance with the mirror above my dresser. Unfortunately the layout of our bedroom is such that this is the only way the dressers work ~ side by side. Not that aesthetically pleasing but it works. On my dresser, besides my babes, I have my jewelry box and little basket tower. What do you keep on yours? Gorgeous pictures! I need more furniture ;)! All such great ideas, but I really love your tall dresser best! That black and white framed photo is beautiful...and the picnic basket and the bird cage and books...it's perfect. I am now your newest follower! I hope you might stop over for a visit and do the same. So nice to "meet" you! Just found your blog. I love your stenciled wall!! I also, am in love with that little bird cage you have on your dresser, such a nice item to display. :) following along now!